The YWCA invites those who believe in a society free of racism to join us and hundreds of thousands of citizens across the country in taking a stand against racism. A variety of activities are planned. Call 812-422-1191 for more details about these community events. 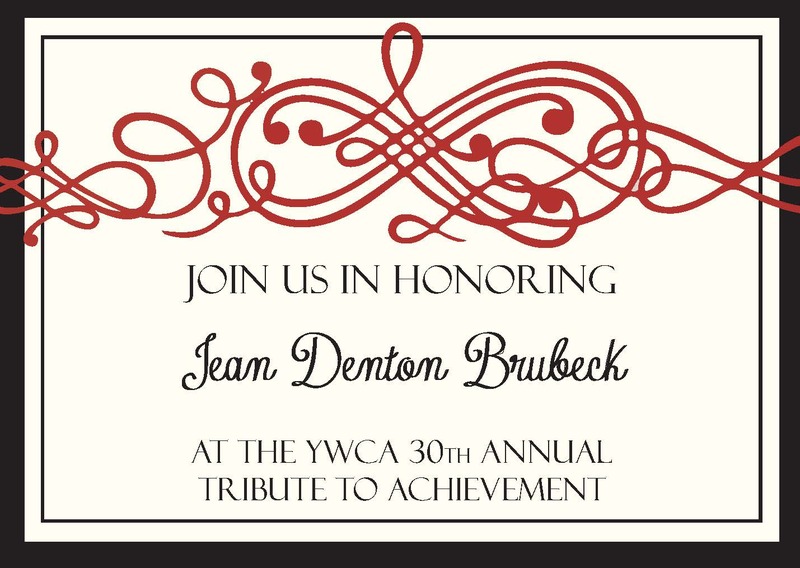 A night to honor Jean Denton Brubeck, a local community champion, and to present Live Y’ers scholarship winners. Call 812-422-1191 for ticket information. Wi$e Up: "How Can I Create My Legacy?" YWCA’s economic empowerment series featuring financial advisors Tricia Hollander Henning and Teri Hollander Albin, providing useful tips on planned giving, endowments, charitable annuities, etc. No sales pitch! Lunch is provided. Seating is limited; reservation required.